This program seeks to identify, prevent and control the spread of infectious diseases. This is a collaborative effort of the agency, the Missouri Department of Health, Physicians, Hospitals, Schools, Laboratories and others. When selected diseases are reported, they are investigated by a public health nurse. These investigations help provide the necessary information to determine if there is potential public health threat and what control measures should be implemented to address it. The Perry County Health Department also serves as an informational resource for Health Professionals and the general public. The rules set forth by the Missouri Department of Health and Senior Services in the Code of State Regulations (19 CSR 20) require notification to the local health authority (health department) upon first knowledge or suspicion of certain communicable diseases (link will open up MO reportable list as .pdf in new window). These communicable diseases are selected based on their characteristics that make them a threat to general public health and ability to infect others. This information can be captured on the state CD-1 Form (link below). Where do I report this information? The CD-1 report should be reported to the appropriate jurisdiction of the patient. If the reporter sends the information to the jurisdiction where they are located, the information will be routed to the correct source. For Perry County, this information can be faxed to (573) 547-3908 Attn: CD Control. All information is received by confidential fax. You can also call the health department directly to report at (573) 547-6564. The Health Department has a designated nurse to handle counseling, testing, and treating of clients for Sexually Transmitted Diseases (STDs) which are limited to chlamydia, gonorrhea, and syphilis. STD testing is available for individuals that are either symptomatic or a direct contact with someone diagnosed with one of these diseases. Human Immunodeficiency Virus (HIV) testing is also available. This testing is available for the population most at-risk for contracting HIV. All client information is strictly confidential and testing is provided free of charge. The Perry County Health Department has adopted and will follow Missouri state regulations regarding HIV/STDs. The Perry County Health Department (PCHD) provides surveillance of diseases caused by vectors such as arthropods (mosquitoes, ticks etc.) and rodents. The PCHD will provide timely technical and consultative services to the public concerning prevention of disease and control of disease causing vectors. In cooperation with the Missouri Department of Health and Senior Services (MDHSS) we strive to reduce the occurrence of communicable and infectious disease. Worldwide, rats and mice spread over 35 diseases. Rodent-borne diseases are spread directly to humans through bite wounds, consuming food or water that is contaminated with rodent feces, coming in contact with surface water contaminated with rodent urine, or through breathing in germs that may be present in rodent urine or droppings that have been stirred into the air (a process known as "aerosolization"). Diseases from rodents are also spread indirectly to humans by way of ticks, mites, and fleas that transmit the infection to humans after feeding on infected rodents. In some cases, the rodents are the reservoirs (carriers) of the diseases, while in other cases the ticks, mites, or fleas act as the disease reservoirs. Mice and rats carry diseases such as Malaria http://www.cdc.gov/malaria Malaria is a mosquito-borne disease caused by a parasite. People with malaria often experience fever, chills, and flu-like illness. Disasters often create conditions that result in an increased population of arthropods and rodents which can serve as vectors of disease as well as producing injury or discomfort in humans and domestic animals. The Centers for Disease Control (CDC) is a great source of information for prevention, clean-up and control of rodents and other vector issues http://www.cdc.gov/rodents/. The Perry County Health Department (PCHD) works in cooperation with the Missouri Department of Health and Senior Services (MDHSS) and the Centers for Disease Control and Prevention (CDC) providing information/education to the citizens of Perry County. These agencies work to protect our citizens from the many diseases that can be contracted through the mosquito. Information is available from the PCHD - 406 N. Spring, Suite1, or by calling - 573-547-6564, and asking for the Environment Public Health Specialist (EPHS). Mosquito's not only affect humans, they are very harmful to bird populations. The Perry County Health Department is active in the surveillance of dead bird reporting. The PCHD logs all calls reporting dead birds. The MDHSS actively monitors dead birds that are submitted and/or reported to: https://webapp03.health.mo.gov/DeadBird/Index.aspx. The Perry County Health Department (PCHD) works in cooperation with the Missouri Department of Health and Senior Services (MDHSS) to educate the citizens and business owners of Perry County in vector control. For example: lodging establishments and day care facilities receive routine inspections for sanitation purposes which include identification of insect infestation. 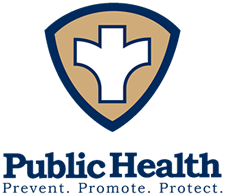 Private Citizens may consult with the PCHD for identification and prevention methods of treating a bedbug situation/occurrence as well as other infestation. These pictures & accompanying information are from the Public Health Image Library database (PHIL) of the US Centers for Disease Control (CDC). See below for more information on searching PHIL. Click links below to go to full-size pictures & text information. To do the search that retrieves these pictures, go to PHIL & search for: bedbugs. The text information with each picture is the same as in CDC/PHIL; the CDC database also provides a link to a high-resolution publication-quality version for each picture (very large files).